Us ‘Brits’ are historically renowned for not talking money (how vulgar) and many of us don’t know what our closest friends are earning (god forbid); but by not talking, could we be missing out? What if your BFF, who’s doing the exact same job as you at a competitive company was earning a significant amount more than you? Would that knowledge give you the courage and ammo to approach your own boss? Unfair pay is a thing. Earlier this year China editor at the BBC Carrie Gracie resigned from her position after finding that her colleague, North American editor Jon Sopel was being paid a casual £125,000 more than her (as estimated). In April the FT reported how almost 90 percent of women still work for companies that pay them less than male colleagues. With more than three out of four companies paying their male staff more than their female counterparts and in nine out of 17 sectors in the economy, men earn 10 percent more on average than women. One Foundry Fox reader (who wishes to remain anonymous) quit her job at a reputable London newspaper last year due to ‘embarrassingly low’ pay in reflection to an ever increasing load of responsibilities. Feeling overworked and underpaid is never going to have great results, instead, it usually = demotivation/general pissed-off-ness. So, instead of posting a barrage of passive-aggressive memes on your Insta-page and hoping the universe will sort it out (it won’t, you need to take control of this one all by yourself,) assess your situation properly and get what you deserve. Liz Ryan is a former Fortune 500 Human Resources SVP and founder of the Human Workplace, a publishing and coaching business whose mission is to reinvent work for people is also the world’s most widely read workplace thought leader. 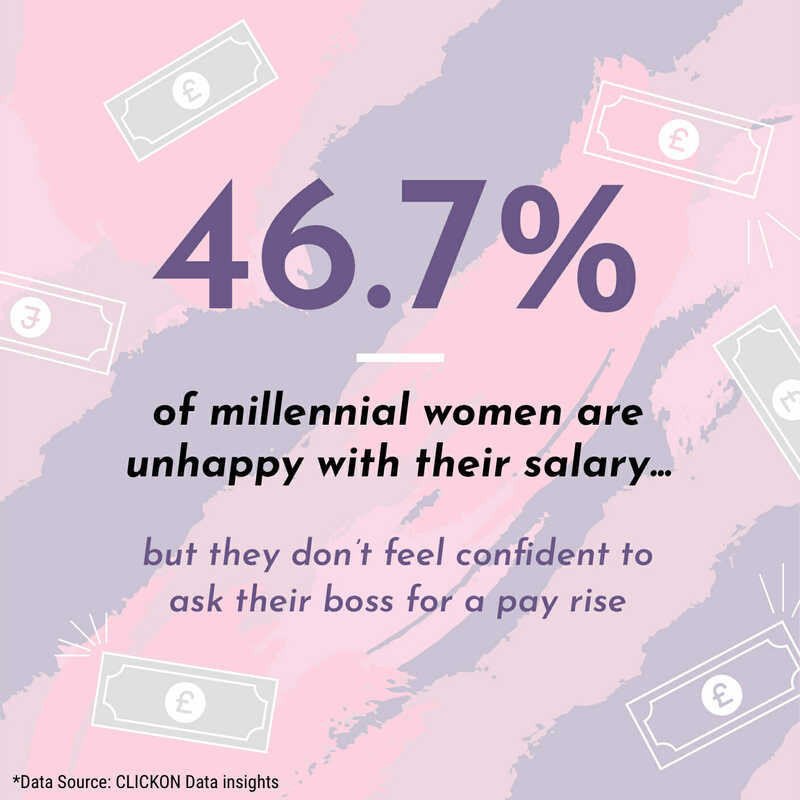 In one of her Forbes columns, Liz advises on how to approach your boss when it comes to salary and how to navigate the myriad of responses. You’ve been waiting for a job/salary review for a long time but it keeps getting pushed back and you’re starting to get a bit antsy, sound familiar? Choose a good time for your boss – a time when they won’t be bogged down or on a deadline. “The easiest way to tell a true leader from a fake, fearful one is that true leaders are willing to have conversations about sticky topics, and they’re willing to not be in control all the time. Fearful managers have to be in control at every moment,” says Ryan. What are you actually worth? You’re meeting all of your deadlines, you’ve entered every ‘ideas’ meeting with a bunch of sound and forward-thinking ideas. Before you go in to see your boss with a figure plucked from your dreams you need to be aware of the market value of your position. Look around at job ads, talk to friends, colleagues, use an online salary checker. Take a step back from the situation, shake off that irritation, be a pro. In her book Beta: Quiet Girls Can Run The World, Author and Digital Director at Grazia, Rebecca Holman talks about how winning isn’t all power suits, stilettos and the loudest voice in the room. Far from it. Some bosses will clearly outline goals and timings to work towards that pay rise, but some might not. If you’ve taken on more, you’ve delivered and now you’re just left feeling burnt out and undervalued with no suggestion of your next steps within that company you need to reassess. “You can only afford to invest your precious time and talent working for somebody who deserves you. That list might include your current boss or it might not. If you are underpaid relative to the market and it’s not working for you anymore, then you owe it to yourself to look around for a job that will reward you appropriately,” says Ryan.